Aroid Forum: What Monstera Is This? in the attached images is. Subject: [Aroid-l] What Monstera Is This? I do not know what this Monstera? species is...but it is beautiful. Are you growing it? Where was this photo taken? 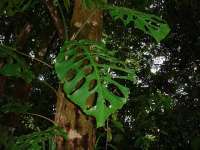 It resembles Monstera punctulata a bit...but differs. How large are the leaves. Monstera punctulata has very large leaves...larger than Monstera deliciosa. It also somewhat resembles Monstera siltepecana...but it is different from that too. Get on Tropicos images and type in Monstera...5 pages of images. 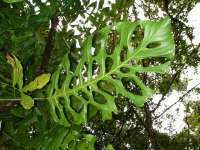 Unfortunately...and this is the caveat,there are two images of a female Zamia species under Monstera adansonii v. laniata. Thank you for sending this image...maybe someone out there knows a name. > Subject: [Aroid-l] What Monstera Is This? > in the attached images is. Tom indicated some time ago in a personal mail M. friendrichsthalii and M. adansonii are one and the same. You might like to check IPNI and TROPICOS on that one. 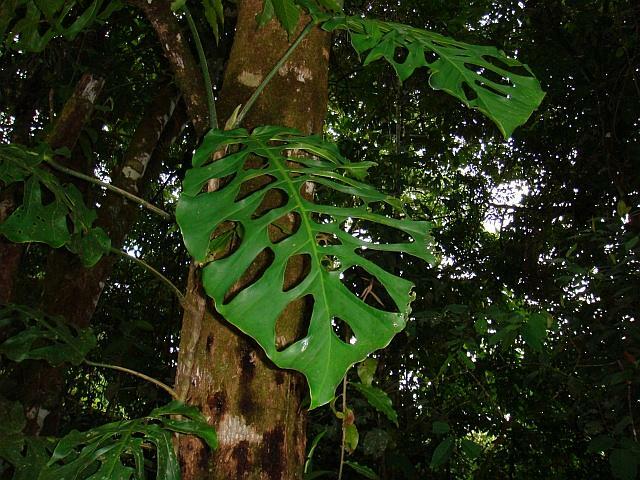 I included some of that info on my page on Monstera adansonii. 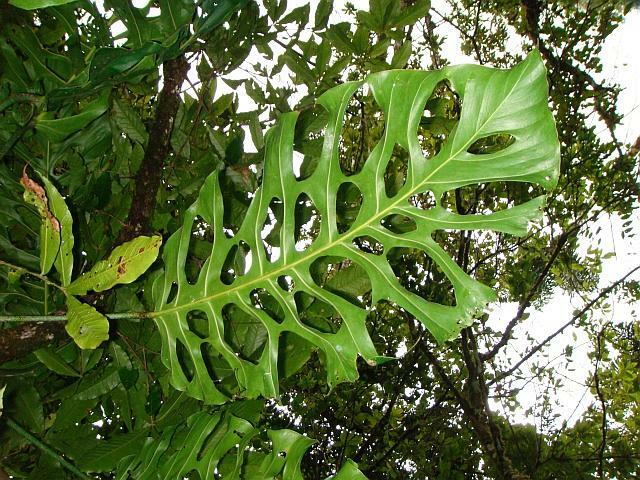 >of a female Zamia species under Monstera adansonii v. laniata. >Thank you for sending this image...maybe someone out there knows a name. > > Subject: [Aroid-l] What Monstera Is This? > > in the attached images is.